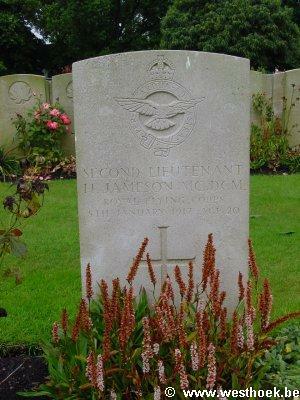 Second Lieutenant HAROLD JAMESON MC, DCM 42nd Sqdn., Royal Flying Corps who died on Friday 5 January 1917. Age 20. 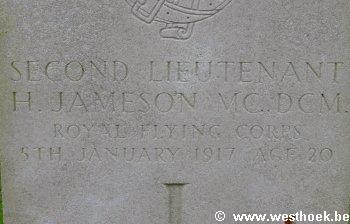 Second Lieutenant HAROLD JAMESON MC, DCM 42nd Sqdn., Royal Flying Corps who died on Friday 5 January 1917. Age 20. Medaille Militaire (France). Son of William Storm Jameson and Hannah Margaret Jameson, of "Ryedale," Chubb Hill, Whitby, Yorks. 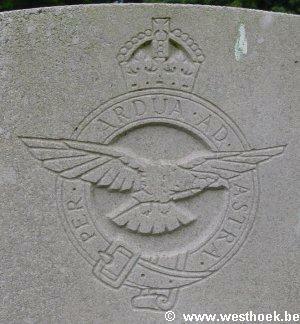 Served in France and Flanders from 10th Aug., 1914 LIJSSENTHOEK MILITARY CEMETERY Grave IX. B. 16.